The Irascible Professor - Commentary of the Day-04-22-07. Sometimes a picture really is worth a thousand words. "When one admits that nothing is certain one must, I think, also admit that some things are much more nearly certain than others. It is much more nearly certain that we are assembled here tonight than it is that this or that political party is in the right. Certainly there are degrees of certainty, and one should be very careful to emphasize that fact, because otherwise one is landed in an utter skepticism, and complete skepticism would, of course, be totally barren and completely useless. ".... ....Bertrand Russell. Commentary of the Day - April 22, 2007: Sometimes a Picture Really is Worth a Thousand Words. The Irascible Professor is still amazed that otherwise intelligent people still question the reality of global warming or deny the potential consequences of rapid climate change. Among them are well-respected commentators such as Debra J. Saunders of the San Francisco Chronicle, who has delighted in taking Al Gore to task for the size of his carbon footprint; and George Will, who frequently hurls cheap shots at those who attempt to reduce the emission of greenhouse gases. Perhaps if these skeptics would take a close look at the following two NASA images, they might gain a new understanding of how rapidly global warming is changing our planet. This image of the sea ice at the North Pole was taken by a NASA satellite in 1979. This image of the same region was take at the same time of year in 2003. These two images compare the minimum extent of Arctic sea ice in 1979, and 24 years later in 2003. 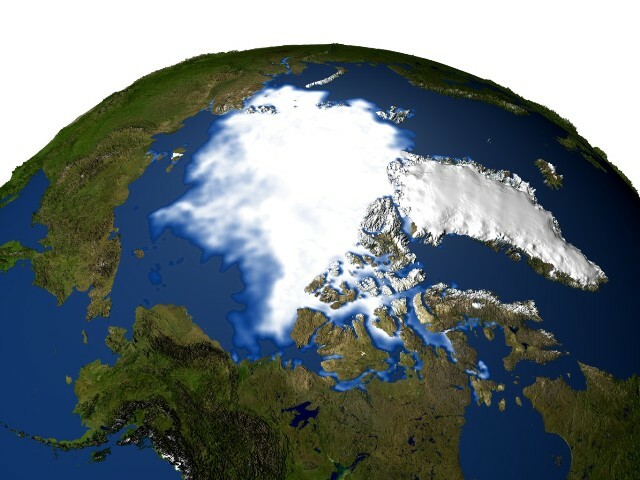 They are part of a much larger set of data obtained by NASA satellites that show unequivocally that there has been approximately a 20% loss of sea ice at the north pole in less than a quarter century. 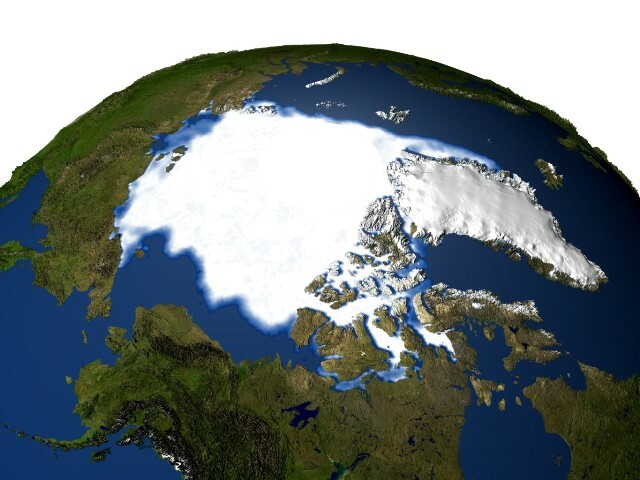 While there are many, many other sets of data that confirm the rapidity of the current global warming cycle, there are perhaps none more dramatic.